In September 2013 I did read a very interesting article about bacteriophages, titled „Heilung durch einen Killer“ by Philip Kohlhöfer and Claudius Schulze. This article has fascinated me and I did some more research. In the West phages fell into obscurity, but not in the former Soviet Union. A stronghold of phage research and the application of the therapy is Georgia. 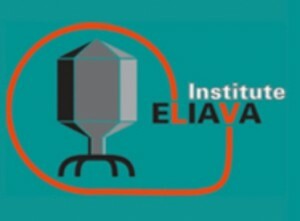 There you find the highly respected Eliava Institute, founded 1923 by Professor George Eliava. Phages are viruses of bacteria and for one bacteria there are in average 10 phages. Because phages are highly host specific, each bacterial strain has to fight for millions of years with its own specific viruses. Of course, also bacteria have an immune system, so we are in a race against an ongoing evolution of bacteria against phages. 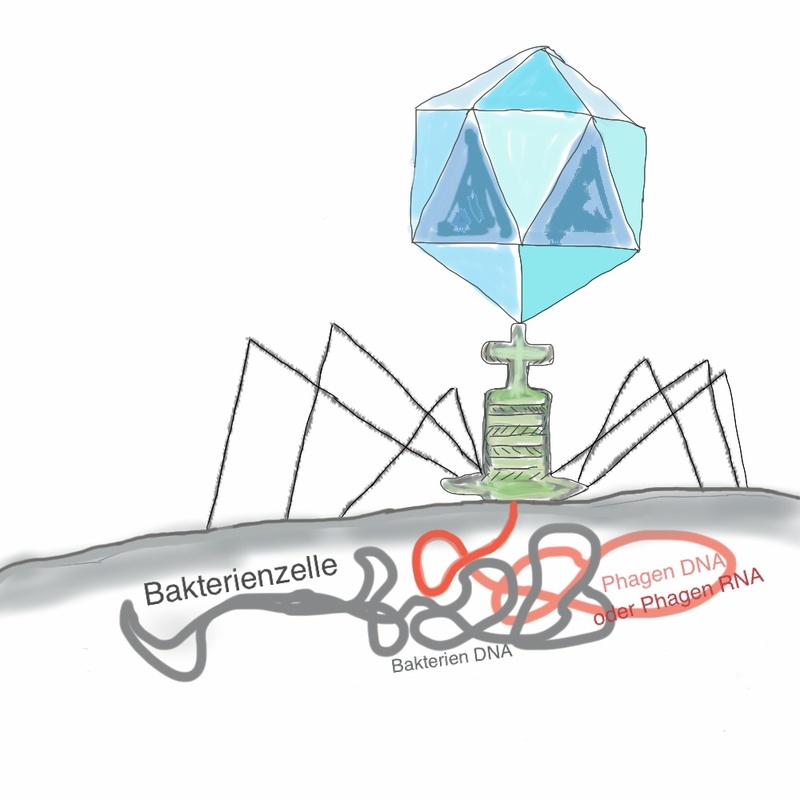 Phages infect bacterial cells and destroy them. Of course, there are many different phages, since there are also millions of different bacteria. 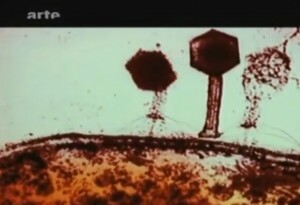 The best described phages are the ones of Escherichia coli, known as phage T4 and lambda phage (phage λ). This has to do with the fact that Escherichia coli is used by biologists because it’s relatively simple to maintain and it’s usually harmless for humans. 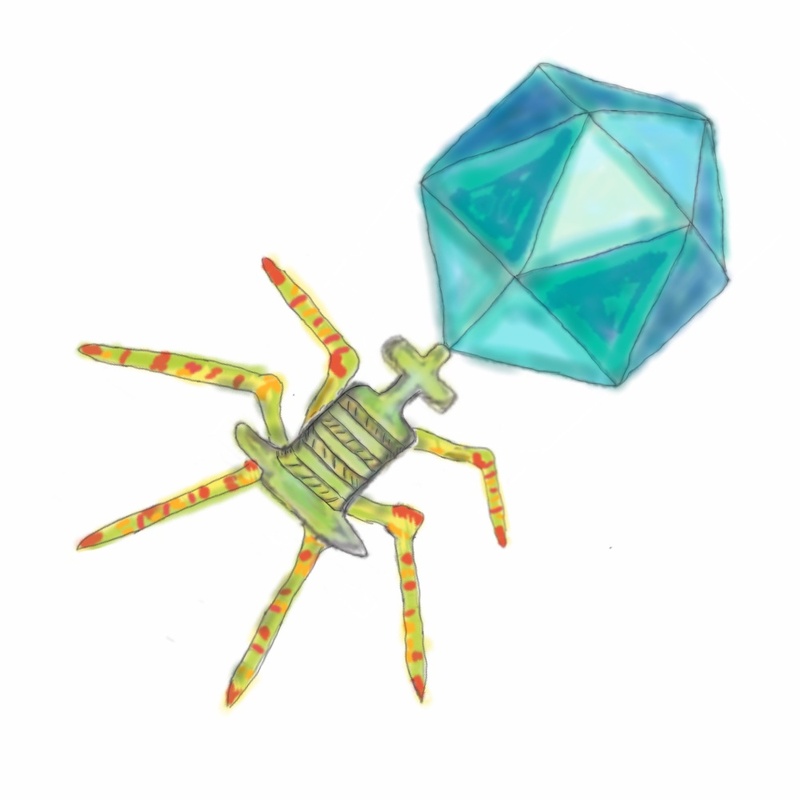 Phages are used to cure patients since the 1920s in so called phage therapies. Unfortunately almost all important publications are in Russian language. The Eliava Institute, which undoubtedly has the longest experience in phage therapy, reported success rates between 67% in lung infections, up to 100% with inflammation of the bone marrow (Osteomyelitis) (27). The only European Institute which deals with the phage therapy is the Ludwik Hirszfeld Institute in Wrocław, Poland. Here you find a list of the most important studies of phage therapy from Poland and the territories of the former Soviet Union published by Alexander Sulakvelidze and Andrzej Gorski (3 +22). Babalova et al. (4) Bacterial dysentery Shigella Shigella phages were successfully used for prophylaxis of bacterial dysentery. Bogovazova et al. (5) Infections of skin and nasal mucosa K. ozaenae, K. rhinoscleromatis and K. pneumoniae Adapted phages were reported to be effective in treating Klebsiella infections in all of the 109 patients. Cislo et al. (6) Suppurative skin infections Pseudomonas, Staphylococcus, Klebsiella, Proteus und E. coli Thirty-one patients having chronically infected skin ulcers were treated orally and locally with phages. The success rate was 74%. Ioseliani et al. (7) Lung and pleural infections Staphylococcus, Streptococcus, E. coli and Proteus Bei 45 Patienten wurden Phagen zusammen mit Antibiotika erfolgreich zur Heilung von Lungen- und Brustfell- Infektionen eingesetzt . Kochetkova et al. (8) Postoperative wound infections in cancer patients Staphylococcus and Pseudomonas A total of 131 cancer patients having postsurgical wound infections participated in the study. Of these, 65 patients received phages and the rest received antibiotics. Phage treatment was successful in 82% of the cases, and antibiotic treatment was successful in 61% of the cases. Kucharewicz-Krukowska and Slopek (9) Various infections Staphylococcus, Klebsiella, E. coli, Pseudomonas and Proteus Immunogenicity of therapeutic phages was analyzed in 57 patients. The authors concluded that the phages‘ immunogenicity did not impede therapy. Kwarcinski et al. (10) Recurrent subphrenic abscess E. coli Recurrent subphrenic abscess (after stomach resection) caused by an antibiotic-resistant strain ofE. coli was successfully treated with phages. Litvinova et al. (11) Intestinal dysbacteriosis E. coli and Proteus Phages were successfully used together with bifidobacteria to treat antibiotic-associated dysbacteriosis in 500 low-birth-weight infants. Meladze et al. (12) Lung and pleural infections Staphylococcus Phages were used to treat 223 patients having lung and pleural infections, and the results were compared to 117 cases where antibiotics were used. Full recovery was observed in 82% of the patients in the phage-treated group, as opposed to 64% of the patients in the antibiotic-treated group. Miliutina and Vorotyntseva (13) Bacterial dysentery and salmonellosis Shigella and Salmonella The effectiveness of treating salmonellosis using phages and a combination of phages and antibiotics was examined. The combination of phages and antibiotics was reported to be effective in treating cases where antibiotics alone were ineffective. Perepanova et al. (14) Inflammatory urologic diseases Staphylococcus, E. coli, and Proteus Adapted phages were used to treat acute and chronic urogenital inflammation in 46 patients. The efficacy of phage treatment was 92% (marked clinical improvements) and 84% (bacteriological clearance). Sakandelidze and Meipariani (15) Peritonitis, osteomyelitis, lung abscesses, and postsurgical wound infections Staphylococcus, Streptococcus and Proteus Phages administered subcutaneously or through surgical drains in 236 patients having antibiotic-resistant infections eliminated the infections in 92% of the patients. Sakandelidze (16) Infectious allergoses (rhinitis, pharyngitis, dermatitis, and conjunctivitis) Staphylococcus, Streptococcus, E. coli, Proteus, enterococci and P. aeruginosa A total of 1,380 patients having infectious allergoses were treated with phages (360 patients), antibiotics (404 patients), or a combination of phages and antibiotics (576 patients). Clinical improvement was observed in 86, 48 and 83% of the cases, respectively. Slopek et al. (17) Gastrointestinal tract, skin, head, and neck infections Staphylococcus, Pseudomonas, E. coli, Klebsiella and Salmonella A total of 550 patients were treated with phages. The overall success rate of phage treatment was 92%. Stroj et al. (18) Cerebrospinal meningitis K. pneumoniae Orally administered phages were used successfully to treat meningitis in a newborn (after antibiotic therapy failed). Tolkacheva et al. (19) Bacterial dysentery E. coli und Proteus Phages were used together with bifidobacteria to treat bacterial dysentery in 59 immunosuppressed leukemia patients. The superiority of treatment with phage-bifidobacteria over antibiotics was reported. Weber-Dabrowska et al. (20) Suppurative infections Staphylococcus and various gram-negative bacteria Orally administered phages were used to successfully treat 56 patients, and the phages were found to reach the patients‘ blood and urine. Zhukov-Verezhnikov et al. (21) Suppurative surgical infections Staphylococcus, Streptococcus, E. coli and Proteus The superiority of adapted phages (phages selected against bacterial strains isolated from individual patients) over commercial phage preparations was reported in treating 60 patients having suppurative infections. A single-center, randomized, placebo-controlled trial on the safety and bioavailability measure of oral phage . Fifteen healthy adult volunteers received two doses of purified T4 phage or placebo in 150 ml of drinking water. Neither adverse events nor significant change in population of commensal E. coli following phage application was observed. Phages were detected in stools in all volunteers administered phage preparations in a dose- dependent manner. However, neither phage particles nor anti-phage antibodies were detected in blood of the subjects. bacteriophage-treated group compared with the control group was found (55 and 104% of total clinical score at day 0, respectively). There was also a 76% decrease in the mean count of bacteria in samples taken from the patient’s ears 6 weeks after phage application, while in the control group a small increase (9%) in the bacterial count was observed. No adverse events following the administration of phage preparations were reported. P. aeruginosa, S. aureus, and E. coli developed by Intralytix Inc. It contained approximately 1 109 PFU/ml of each phage. The primary objective of this study was to evaluate the safety of the topical use of WPP-201 in patients with full thickness venous leg ulcers of greater than 30 days duration. WPP-201 had no significant effect on ulcer healing. No other adverse events were found in subjects following the administration of phages either. Phages are host specific, which means that you can specifically act against a strain of bacteria without destroying the whole flora. Phages are also very effective against antibiotic-resistant and so called MRSA bacteria. There are quite a number of recent publications that demonstrate the effectiveness of phages (22). Professor Ludwik Hirszfeld has created a collection of clinically effective phages in Wrocław (Poland). Today, the Institute of Immunology and Experimental Therapy (IIET), established a large phage collection through a number of global cooperations. According to Professor Gorski I’m presenting here the numbers from May 2011 (22). Because of antibiotic abuse, especially in the meat industry, many antibiotics became useless against an increasing number of bacteria. Unfortunately, the meat industry has discovered phages for themselves and in 2006 the FDA has approved to spray meat with phages. Although this is not dangerous to the consumer it should be critically discussed. The evolution is very fast between phages and bacteria. There are three known mechanisms by which bacteria can resist to viral disease. Therefore, also the bacteria will develop resistance against phages. However, this will happen more slowly than with antibiotics, because phages are as part of evolution constantly adapting and evolving. Some researchers believe that such resistances are about 10 times slower than developing resistances to antibiotics (23). We will find out, but the meat industry has opened the race and could expel again a very potent agent against infections . High costs of specific phage cocktail development. It is not possible to patent phages. Short-term profit after the development of a phage cocktails because of easy and cheap reproducibility. In the long run no economic profit. For these reasons, the development and production of bacteriophages for the healing of people should be regulated according to the Orphan Drug Act. Then a phage therapy could be ensured also to less rich people, or people with rare diseases. This entry was posted in Allgemein on 25. Oktober 2013 by hannahadmin. Danke, Frau Dr. Jaag, für die Verbreitung von solchen Artikeln! Zufällig hatte ich auch den Artikel in Geo gelesen, kurz bevor bei meinem kleinen achtjäringen Sohn eine chronische Osteomyelitis als Folge von einer Knochen Fraktur diagnostisiert wurde. Die Ärzte können uns keine Garantie einer Heilung geben. Mein Sohn wurde mit einer IV-Antibiose 4 Wochen lang in der Klinik behandelt und jetzt muss er die Antibiotika in Tablettenform weitere 6 Wochen nehmen. Ein Tag vor der Entlassung aus der Klinik bekam er einen Hautausschlag und ich hatte Panik, dass die Antibiotika eine allergische Reaktion verurscht hätten. Bis jetzt hat sich die Lage stabilisiert, aber ich suche verzweifelt nach Alternativen. Es gibt durchaus auch in Deutschland Ärzte die mit Phagen arbeiten. Im GEO Artikel wird einer genannt. Leider dürfen sich die Ärzte damit nicht zu sehr aus dem Fenster lehnen, aber man kann sie finden. Ansonsten soll Tiflis sehr schön sein. Gute Besserung für den Sohn! Ich habe Kontakt mit dem deutschen Arzt vom Artikel aufgenommen. Vielen Dank für die Wünsche der Besserung für meinen Sohn! Dort werden auch Videos von Tiflis gezeigt. Super Seite, vielen Dank! Ich werde den link oben mit einfügen.